Marcus Whitman Elementary School is managed by the Richland School District education agency, located in the county of Benton and Richland City. From a small farming village of less than 300 people, Richland, the city situated on two rivers, the Yakima and Columbia, boomed in 1942 with the opening of the Hanford project. Thousands resided within the city from then on. As the years passed, the city provided its people with general government services. Today, Richland’s growth continues with an approximate population of 43,000. The Marcus Whitman Elementary School is in a mid-sized city setting. It is categorized as a Primary School, with an approximate number of students at 420 from Kindergarten to Fifth Grade. The 22 devoted teachers make up the student-teacher ratio of 19 students per teacher. 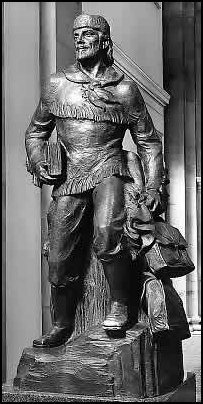 The school is named after an early American physician and missionary, Marcus Whitman. Marcus Whitman Elementary School’s vision is to produce dependable and disciplined students with the help of the dedicated, competent, and committed faculty and staff, the involvement of the learners, and the support of the parents. Both the academic and personal growth experienced at Marcus Whitman Elementary School will be the guide and inspiration of the students to achieve their goals. The learning goals of the Marcus Whitman Elementary School is to improve the students’ reading comprehension and writing skills, develop their understanding and application in Mathematics, and to use existing technology like the Measure of Academic Progress, OPAC, Student Information Reporting System, WORLDBOOK Online, and WebQuest. The Marcus Whitman Elementary School faculty and staff teach the kids to be respectful, cooperative, and polite and makes sure that it is a bully-free school. Parent involvement is encouraged. They can show support by attending functions in school and attending parent-teacher meetings. Parent involvement in a child’s learning is geared toward achievement.